Yah, we all get in those non poseable moods. ENJOY and have fun today. Oh, yea, being a California pup sure has it's advantages, huh? What is with the peeps making us pose anyway? Well, at least we usally get some good treats out of it. Mom read on a blog the other day that if you tie a treat to the camera we will give good shots. She is going to try it. How cool! 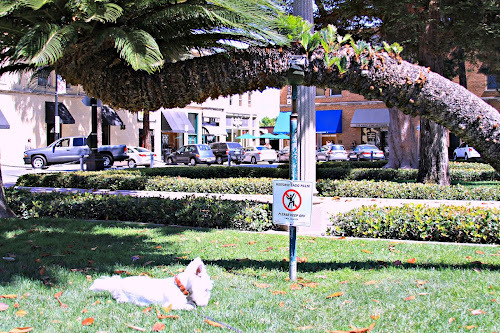 We've never seen a lounging palm tree before, Duncan! 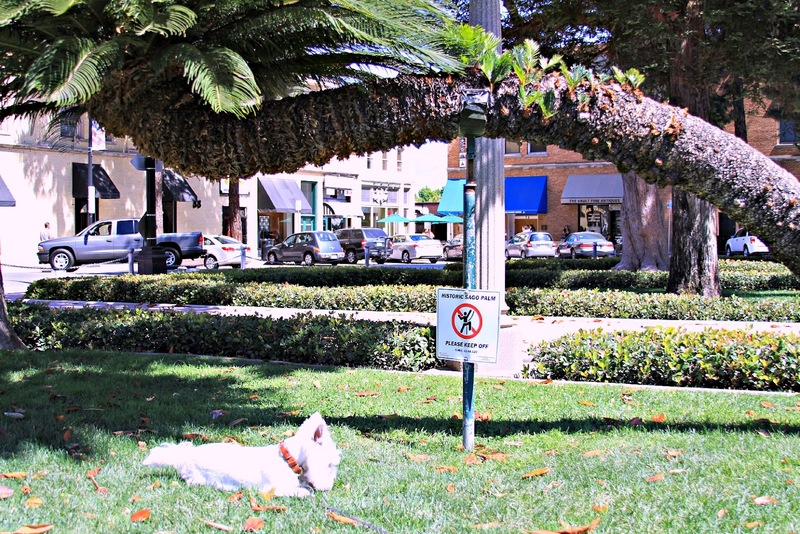 That sure is a pawesome palm tree!